RJ & Associates, PC is a small firm in Tulsa, OK that specializes in providing services to small, growing family-owned companies. They are also a team of certified QuickBooks Proadvisors and can assist with QuickBooks setup and troubleshooting, as well as other accounting software such as Peachtree, Vista, Businessworks, and MAS90. 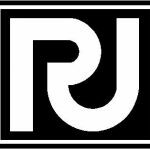 Work For RJ & Associates, PC? Claim This Page.